» NEW ROLAND FP-10 Digital Piano Launch at THE PIANIST STUDIO SINGAPORE! Venue: The Pianist Studio | Finally! “Unbeatable Performance! Unbelievable Price!" Roland FP-10 at $699 ONLY making its way into Singapore! FULL SIZE 88 PHA4 Key Digital Piano with Roland’s evocative SuperNATURAL piano tones! Playing piano is all about expression. The FP-10’s PHA-4 Standard keyboard delivers the responsive feel of a fine acoustic piano, with every nuance whether you play hard or soft captured by Roland’s touch-detection technology. It is the most compact 88-key digital piano in its class. If you are in music industry, the brand Roland is not an alien for you. You know what we meant. It's not just for beginner, but an ideal second piano for more experience players. 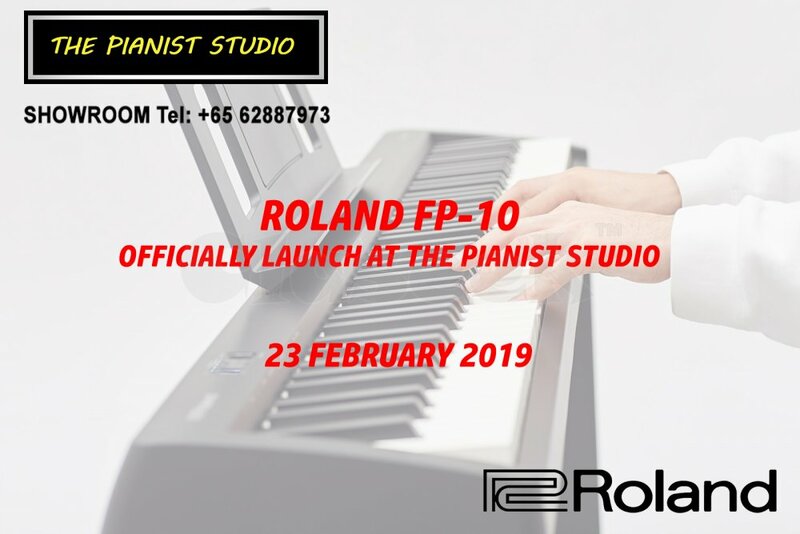 If you are in Singapore, you are welcome to visit The Pianist Studio showroom to try out Roland FP-10 and other popular Roland digital piano keyboard. We would love to hear you feedback. Roland is one of the leading brand in digital piano, keyboard, drum and workstation and synthesizers.